RESTORE THE WESTERN US MUSTANGS and RETURN THEIR 20 MILLION ACRES! Western States: 155.53 Million Acres - AND - NFS Land: 192.8 Million Acres. Any horses to be adopted will now have some very vivid impressions they must overcome of humans. Future adopters, please be patient and recognize what most of your mustangs have learned so far about humans is from the BLM and it's contractor wranglers. Ninty (90) Sulphur Springs Mustangs were rounded up in Dec. 2010. Twenty four mares were treated with birth control drugs. All horses were released back onto the HMA, except for the foals, which will probably be put up for adoption, sometime in 2011. Check out the SOS site, you can find samples of real letters to send to the BLM to protest the roundups, because the BLM are breaking their OWN rules! The 1971 Free-Roaming Wild Horses / Burros Act was passed by Congress in response to public pressure to end the cruelty the of horse killers. Now the Mustangs are UNDER ATTACK again, by those seeking to "ZERO OUT " the herds permanently from Our American Public lands. 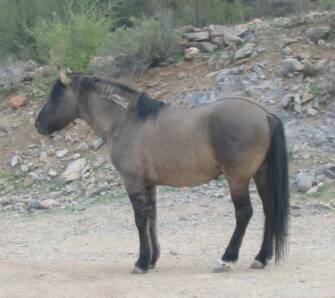 It is the Mustang's Lands, the BLM says the Wild Horses are foreign animals, not true! It' been proven that mustangs are native to the Americas. 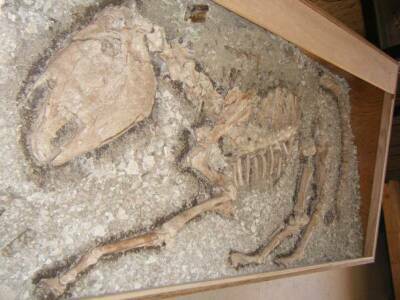 Ice Age Fossils have been found in Desert creek beds of the Western United States. Mustangs deserve as much protection and respect from the USA, State and County governments as the deer and antelope. Be a Friend , Help us Save Our Sulphur Mustangs of Utah. Go to the SOS webpage. The BLM is rounding up the Intermountain West Mustangs and giving their "so called protected home range lands" to large cattle ranches. The BLM plans take these mustangs that love to run and CORRAL them on BLM ranches, in the Dokata's, the Mid-west and the East Coast, far away from the desert birth place. The BLM plans to "doctor" all Mustangs with birth control, keeping the mares and fillies in their own area and caging the gelded stallions together to live out their lives in a zoo like corrals! Never to live as God wanted them to do. Never to live in their family units. The PZP usually messes up the birthing dates, some mares give birth in the middle of the cold, harsh winter, many foals and the mares can die, while giving birth in the dead of winter! Send me your Letters about SaveOurSulphurs Mustangs aka SOS. - We can atleast TRY to keep them safe! Doing something is better than doing nothing! WE are the VOICES for the MUSTANGS! This is a Sulphur Horse GROUP effort, SOS, ASHA and SSHR are working together. SSHR's page (below) show the Wild Sulphur Mustangs enjoying their freedoms at home. www.sulphurspringshorseregistry.com/9 Naylene Neild, President of SSHR, lives near the Sulphur Horse range lands and visits the area often. These June 2010, photos show a goodly amount of forage and water. 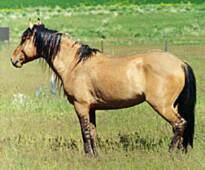 The 200 Sulphur Mustangs live on the 142,000 acres, and still the BLM wants more Mustangs removed? Our SOS Mustang group on FaceBook, is suggesting to the Utah Senators and House to declare the Spanish Sulphur Horse aka Zebra striped Dun Mustangs to be Utah's State Horse and return the Sulphurs their natural home ranges. These Sulphur Springs Mustangs have lived in Utah for hundreds of years, their ancestors have traveled the on the Spanish Trail. 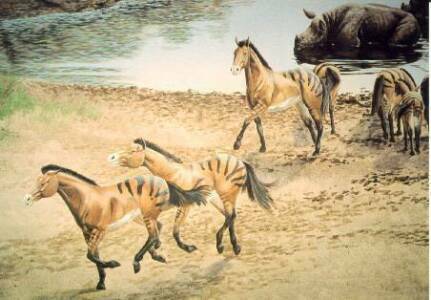 Cowboys made up songs about these Striped Horses and coined the name of "Zebra Dun". BLM is still saying they are being "gathered", Nope, its a roundup and they are brutal! Our Sulphurs are facing all kinds of horrors such as running for miles until they are exhausted and scared AND in the middle of a Utah Winter, too !! You do not have to live in Utah or own a Sulphur Horse to join SOS. You just have to be willing to write letters to the Utah Senate and House. SOS mustang Group is wanting Utah to name the Sulphur Mustangs as our state Horse, to keep them safe from people who want to harm the Zebra Duns. NEXT PAGE "Letters to send"